When given the term ‘Nollywood’ admittedly my first train of thought goes to, “was this a mispronunciation of Hollywood?”, which is the base puzzle when it comes to the film industry. The lights and glamour of Hollywood are so widely known throughout the western society, even though the top two producers of film are the Nigerian and Indian industry better known as Nollywood and Bollywood. The integration of new technologies allows more films to be made as they become more affordable and thus widespread to directors locally. An average of 30 new titles is introduced into Nigerian and African community markets weekly, with around 50,000 copies sold. In 2007, an estimated 1,687 films were produced in the country and put straight onto video for distribution rather then the more conventional theatre debut. These films encompass a storyline based around a tradition or situation of the time plus imported content from TV serials in Venezuela, Argentina, Mexico and Korea. These elements mixed with a melodramatic or magical culture use corruption as the main motif. These films integrate cultural identity within them that have been distributed globally and are commonly recognised given “The emergence of communication technologies and media networks allowing for faster, more extensive, interdependent forms of worldwide exchange, travel, and interaction are central to this process.”( Okome, O 2007). The Asian market for popular media has also become something of a phenomenon with the advancement in social networking and content sharing. Online broadcasters have seen the increase in popularity with Korean film putting them at the 7th highest film producer in the world, with national film attendance totals by 2000 exceeding 70 million (Sukhmani Khorana, 2015). It is now one of the biggest exporters of music, film, and TV series in the Asian pacific. One popular example that made it to a western audience and saw success was Psy’s “Gangnam Style” viral video. This viral video escalated on YouTube that caused the site to change its maximum view counter to 9,223,372,036,854,775,808 views from a 32-bit integer to a 64-bit, with the video receiving a whopping 2,404,350,194 views and counting since its initial release in 2012. In the year of its release the video was making history with an average of 10million views per day in it early exposure. The 12 year veteran had an established K-pop career before ‘Gangnam Style’ however this song saw him recognised globally and topping charts in America and the U.K, something K-pop doesn’t do often. It raised awareness for the genre of Korean pop music, whom “are often seen as showing a fuller affinity for the region’s character, and to express more soulfulness than Western music”( Ryoo, W., p.140), and indeed the artist Psy, with admirable success of his further two releases, “Gentlemen” and “Hangover”. South Korea has emerged itself as one of the leaders in Asian pop culture and in terms of television, music and film, is being recognised as what most parts of East Asia turn to for entertainment. It could be the country’s economic state and thus high production values, or Cultural proximity and affinity with neighboring Asian countries all of which demonstrate its popularity in terms of relating the text to its audiences (Sukhmani Khorana, 2015). Okome, O (2007). ‘Nollywood: spectatorship, audience and the sites of consumption’ Postcolonial Text, 3.2, pp. 1-21. Ryoo, W. (2009). Globalization, or the logic of cultural hybridization: the case of the Korean wave. Asian Journal of Communication, 19(2), 137-151. This entry was posted in BCM111 and tagged Gangnam Style, Global Film, K-pop, Nigerian Film, Nollywood, Psy. International students are given the opportunity to come to places like Australia to study and immerse them with the culture, yet sometimes the reception isn’t always positive. “A crucial element in the achievement of success for international students is not only their academic adjustment but also their adjustment to the social and cultural environment.”(Kell, P and Vogl, G, 2007) Socialising and deciphering written English language to spoken Australian ‘colloquial’ English language can prove challenging and often takes longer than international students expected to understand. The idea of language plays a major role in the adjustment of living and later studying in another country, and Australia is perhaps the greatest challenge due to our iconic accent. Studies have shown that the English spoken language of Australia and the written version vary tremendously and have been noted by international students as one of the key barriers in their understanding locally. These students spend time prior to coming to Australia mastering the written, formal English language yet when they arrive the “local accents, fast speech and Australian colloquialisms” reduce their ability to communicate effectively to locals. It’s noted that it’s not that these students find Aussie students unfriendly or disrespectful; it’s that they’re unaware on how to approach and/or hold a conversation fluently. Some Australians have a tendency to uphold negative stereotypes towards international students deeming them to be lazy, boring or useless and thus, “too parochial, trapped within an Australia-centred view of a diverse and complex world” (Simon Marginson, 2012). Studies have proven the potential in students coming from overseas being effective and motivated workers who enjoy the mix of culture and professionalism. Their records from the institutions they have moved from indicate they’re more than ready for the workplace, excelling in marks sometimes greater than that within Australia. This concept of ethnocentrism which is “characterized by or based on the attitude that one’s own group is superior” (Sukhmani Khorana, 2015) keeps a narrow view and doesn’t allow for equality within the learning experience. The Indian and Australian governments are working on improving these situations for International Indian students studying in Australia, with a renewed focus on recognition of qualifications and a $1 million boost to the Australia-India Education Council. Kell, P and Vogl, G (2007) ‘International Students: Negotiating life and study in Australia through Australian Englishes’, Everyday Multiculturalism Conference Proceedings, Macquarie University, 28-29 September 2006. This entry was posted in BCM111 and tagged Australia, Culture, Education, Equality, Exchange, International, University. Globalisation affects a population in many different ways for better and for worse, and is “influenced by technological development and economic, political, and military interests. It is characterised by a worldwide increase in interdependence, interactivity, interconnectedness, and the virtually instantaneous exchange of information”(O’Shaughnessy and Stadler, 458). With new technologies, and improved trade relations, countries are looking to foreign markets to increase their profits from a business perspective. Individually this can be an advantage as better access to news, information, foods and cheaper products become available to the developed countries on board. However, the bad side of Globalisation is that some countries are forced into these agreements in order to stay ready for international competition, and to avoid loss of industry. These moves are showcased in Australia’s car manufacturing giant ‘Holden’ to cease their manufacturing work on Australian shores as of 2017, and instead import their vehicles from General Motors (GM) to then sell locally. International General Motors executive Stefan Jacoby says “ (it’s) Impossible to manufacture cars in Australia regardless of government assistance (if given any)” and adds that it is “impossible to manufacture ALL cars due to high prices and the government’s decision to sign the fair trade agreement”, thus low production rates and high Australian dollar means increased prices (Global Education, 2014), which therefore gives imports the upper hand. For Holden in Australia this means 100 years of manufacturing locally will cease resulting in an estimated 1400 jobs lost within 3 years. 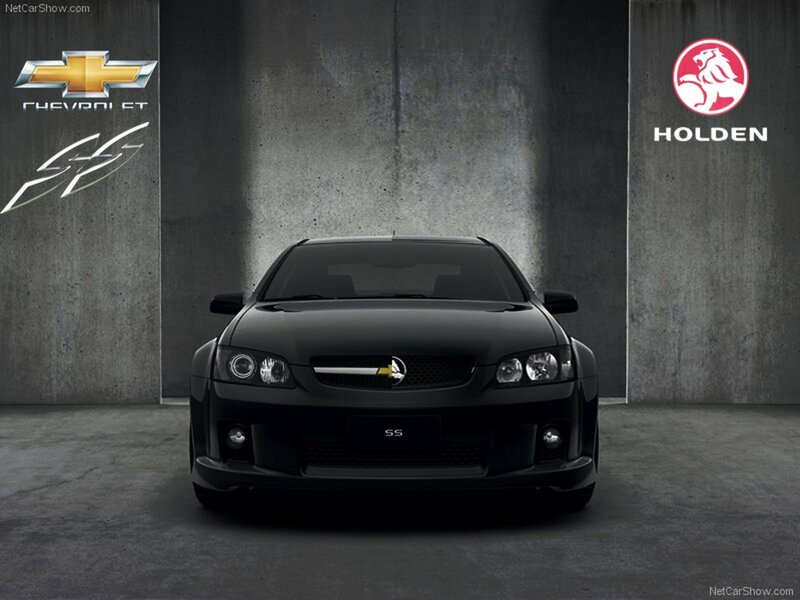 Arguments surrounding this decision have been mixed, with some people praising the move as it keeps the brand of Holden around longer, and some customers believing the manufacturing done by GM in America is of better standard and performance. Whilst others, it’s a case of globalisation gone wrong with yet another iconic “Aussie” brand taken over by foreign market. The impact of globalisation in Australia continues to shift in opinion and in terms of car manufacturing, I believe is heading in a positive direction. The name Holden is trademark to car sales and ownership within Australia and to preserve the longevity by accepting terms with American manufacturing is going to keep a lot of enthusiasts satisfied. With similar circumstances at competing brands like Toyota and Ford, Holden has taken the first step into a successful future. This entry was posted in BCM111 and tagged Australia, BCM111, Car Manufacturing, General Motors, Globalisation, Holden, International Media, UOW.